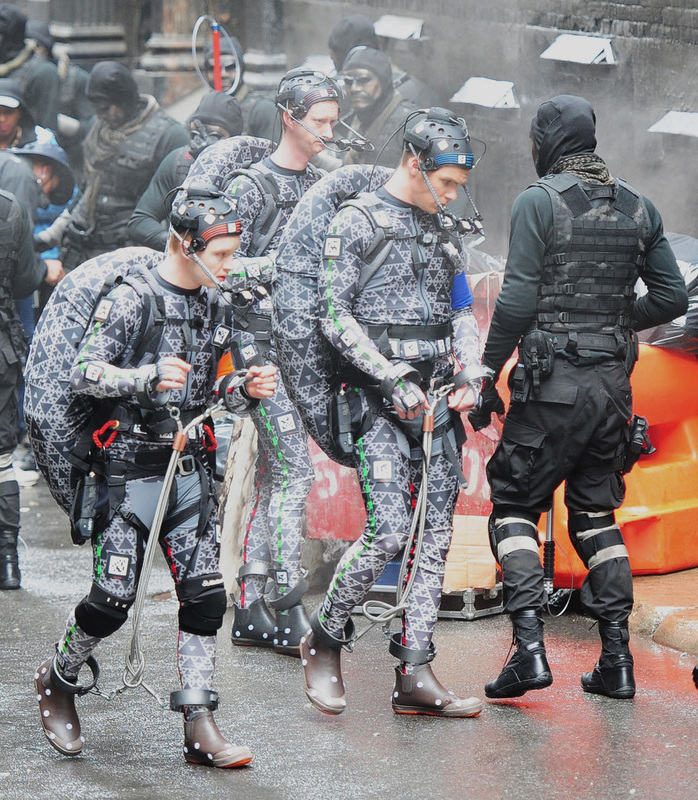 A few days ago, we got our first look at the actors playing The Teenage Mutant Ninja Turtles in their motion capture suits. In the set photos, three of the turtles appear to have been captured by the Foot Clan. Here's a video from the set of the actors shooting that scene. It's not really action packed, but I guess it kind of gives you a sense of what the tone will be. The video also gives us a little more context of the scene that they were shooting. The Jonathan Liebesman-directed film is based on the characters created by Peter Laird and Kevin Eastman. It stars Megan Fox as April O'Neil, Alan Ritchson as Raphael, Jeremy Howard as Donatello, Pete Ploszek as Leonardo, Noel Fisher as Michelangelo, Will Arnett as Vernon Fenwick, Danny Woodburn as Master Splinter, and William Fightner in an iconic role that I think is Shredder. The movie comes out in theaters on June 6th, 2014.